Galleria Lofts is the latest collection of modern luxury residences from SobelCo, a leading South Florida builder. 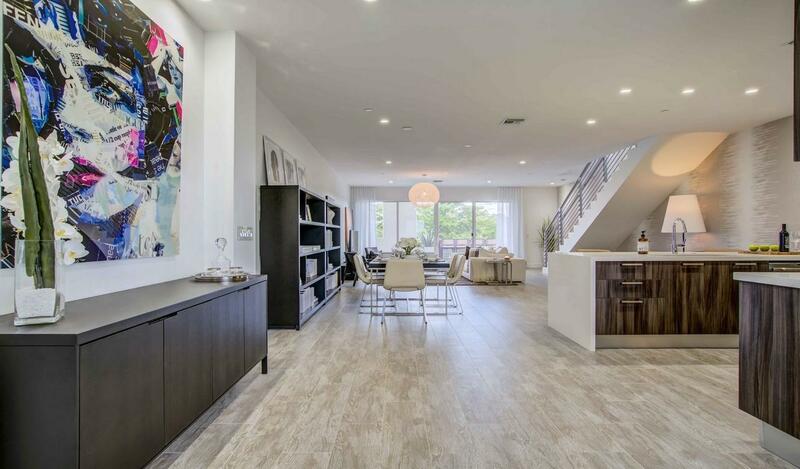 This intimate community of just 48 homes in the heart of vibrant downtown Fort Lauderdale combines contemporary design with spacious comfort to form a tranquil, urban oasis ideal for any lifestyle. Galleria Lofts immediately captivates your senses blending modern, innovative, urban design with lushly lanscaped exteriors. From the moment you enter your bright, spacious home at Galleria Lofts through the private entry, you will notice the meticulous details incorporated in every square foot. From open home designs with elevated ceilings to well-appointed kitchens featuring stainless steel appliances and contemporary flat panel cabinets, quality shows through in every warm, inviting room of your home. The style continues with a resort-style wet room featuring ergonomic and comfortable free-standing soaking tubs, 12”x12” matte porcelain tile floors and floating vanities along with modern staircases with reflective steel railings. Each home at Galleria Lofts features the latest innovations in efficiency.